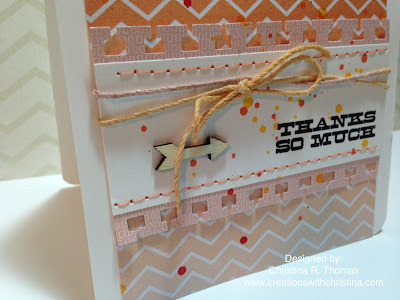 Super fun and simple card for you today. I've been having a great time playing around with my stash and using stuff that I purchased forever ago and never really got around to playing with. Here are a few photos of the finished card. We are having a long weekend and I have plans to be in my craftroom for most of the day today and maybe for a little tomorrow too. It's been to hot to even be outside. This is one of my favorites of yours! What a beautiful card! Beautiful card! Have a great weekend. Christina - again a great card - easy techniques with a great result!!!!! Thanks for taking the time to share your card making!!! I love your videos and this is a great card!! 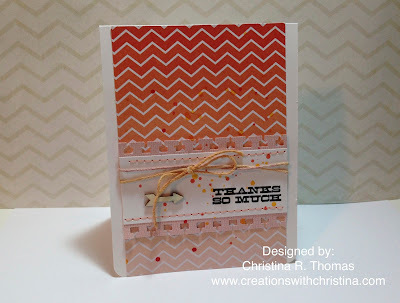 Love the colors and layout of your card Christina! I can imagine your heat comes with quite a bit of humidity-which is icky! Arizona has been very hot with crazy rainstorms and dust storms - so I am with you about staying inside and crafting! Thanks for the inspiration! Super cute card. 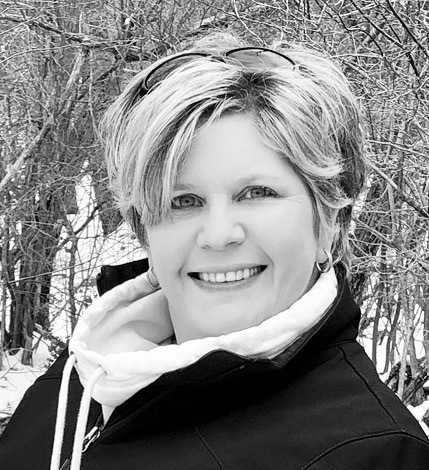 I really love your videos! Thanks for taking the time to inspire us!